Fixing to existing structure is generally easier that erecting fixing posts, even if this requires the use of chains or cables to elongate the fixing. 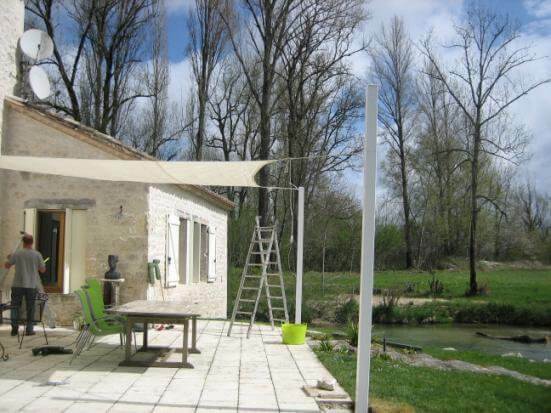 To determine the exact position of your fixings, remove the Sail Shade from its packaging and lay it on the ground at the point where it will be installed. When your sail is properly positioned, leave a space of about 300mm diagonal to each corner of the site where your posts / clamps will be positioned (see picture). 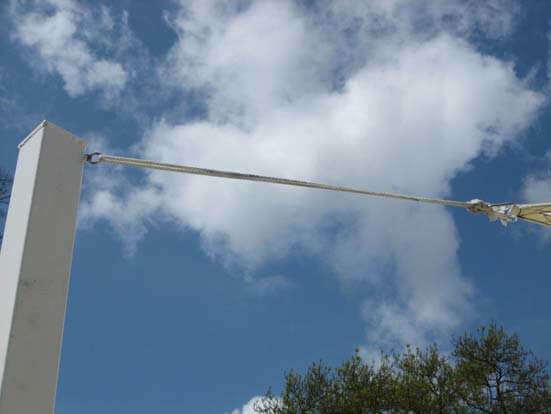 You can always leave more room between the pole and the sail and increase tension with an additional Turnbuckle or a rope, chain or steel rope if necessary. 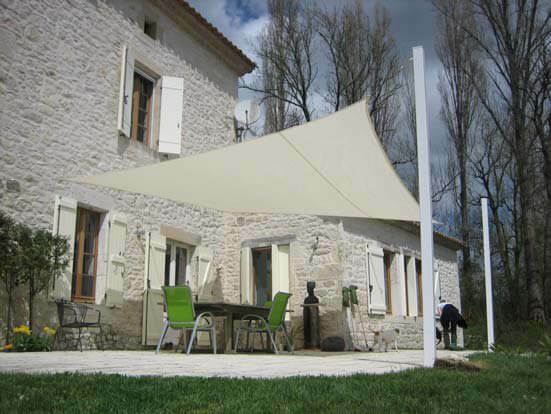 If the available space is too small the tension will not be sufficient to maintain the Sail Shade correctly, it will sag, perform badly in heavy rain and will not be as visually appealing. 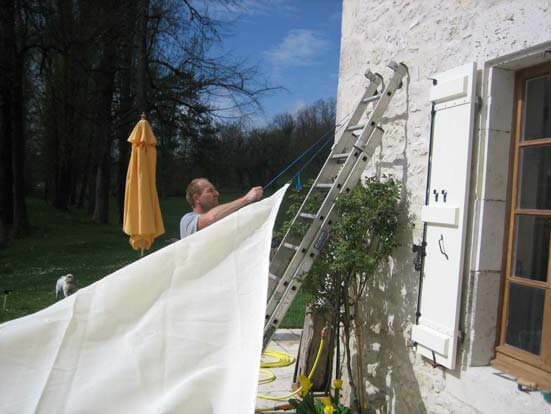 Whether you are installing a triangular or square Sail Shade, always leave enough space between the corner of your sail and the fixing to make sure that sail can be tensioned correctly. 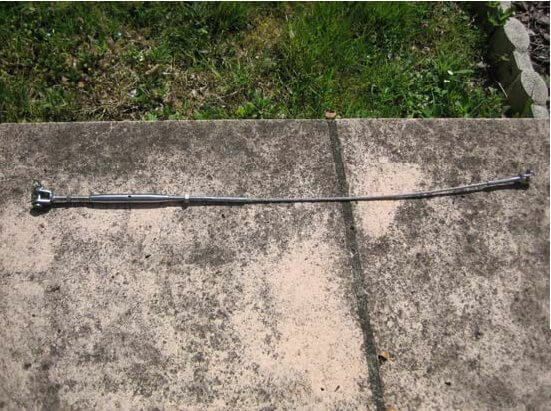 The depth required for a fixing post will depend on the size of the structure and height of the fixing above ground of the post. A tried and tested rule of thumb suggests 'a third below the ground, two thirds above'. 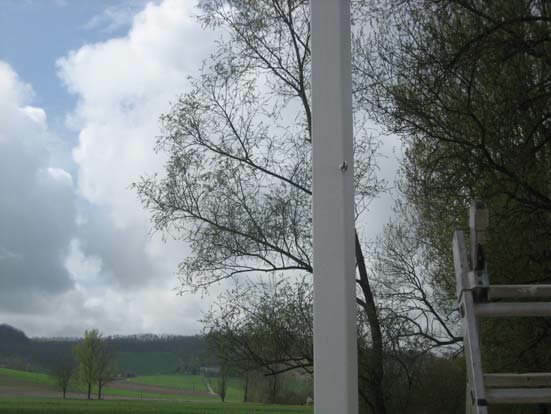 This means that a pole which extends for 2.4 m above ground should have at least 1.2 m buried in the ground. Although only a general rule of thumb, these measurements have stood the test of time and we strongly recommend that you follow them. If a post is not buried to a sufficient depth it may move in strong winds and repositioning it afterwards could prove very difficult. A slight movement of the base of the post may also jeopardize the positioning of the sail, reducing its longevity. 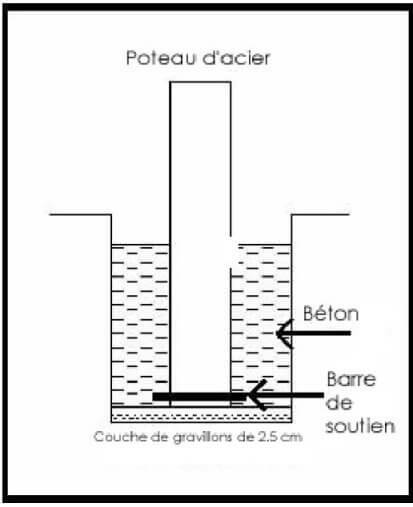 If your post hole passes through sand layers or other soft areas then these depths should not be included in the calculation of the required depth. Typically, the diameter of the holes should be about 350 mm, but depth is the most important factor. Fix the 'eye bolts' to the fixing posts and / or the 'pad eyes' to the walls. 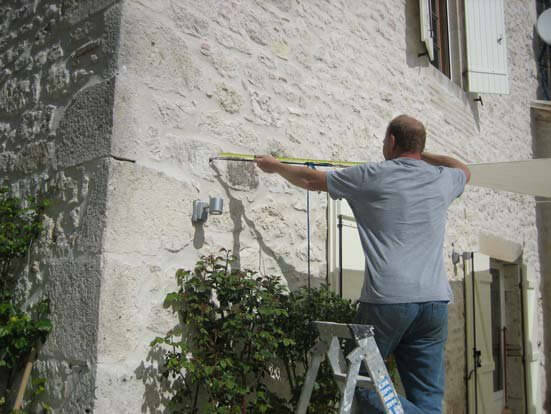 Position the fixings at different heights to give a height variance of about 60-80 cm for a 3.6m x 3.6m square and between 1m to 1.2 m for a 5m x 5m square. Repeat these steps with the other corners until all four corners are in their approximate positions. 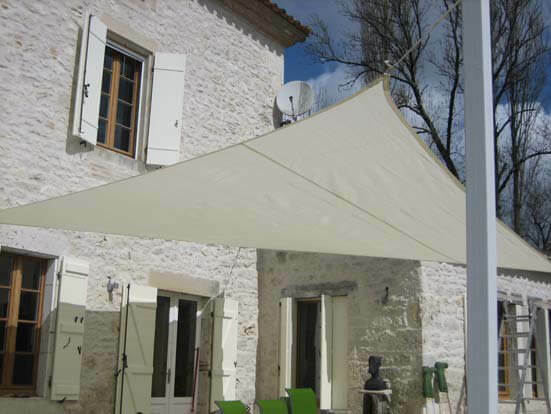 Lengthen or shorten the strings to position the Sail Shade in the best position. 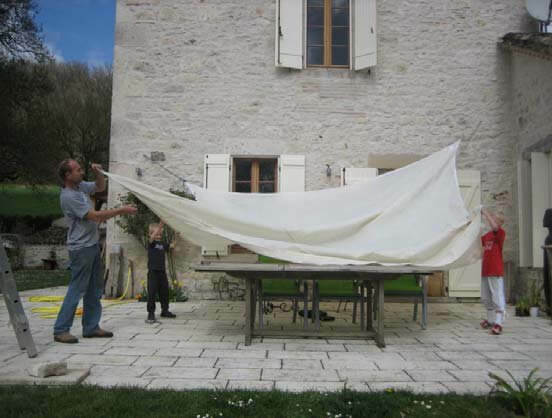 Measure the distance from 'pad eye' to the fixing ring on the Sail Shade. Prepare the fixings. 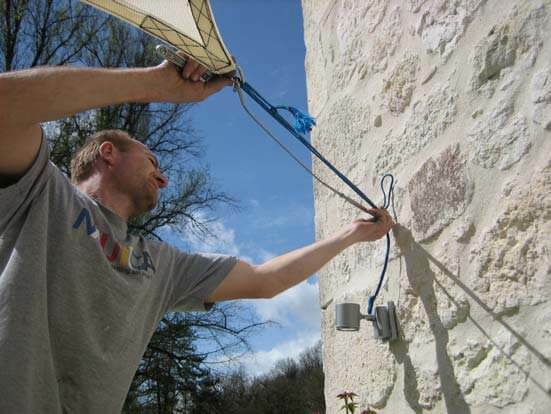 Here we are using a 6mm stainless steel cable, set with a 'Tirefort'. 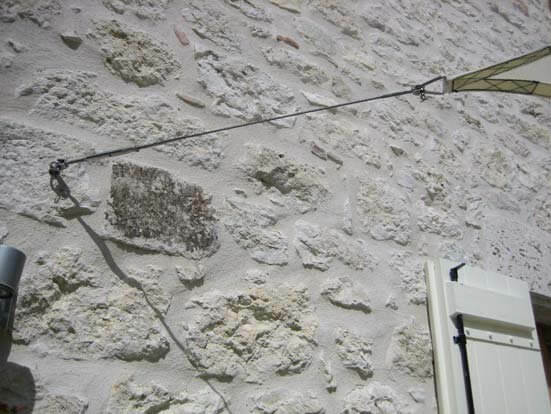 For domestic installations you can also use 'turnbuckles' and 'snap hooks'. 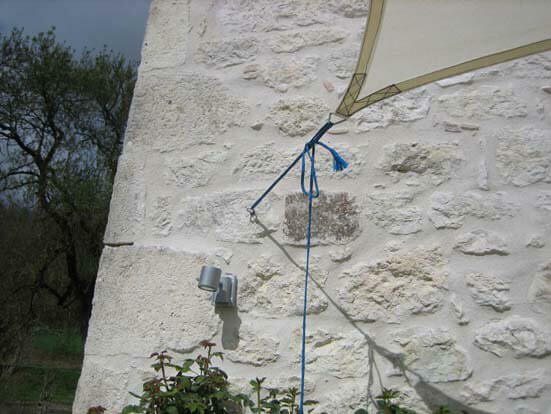 For each corner: Attach the permanent fixings and remove the rope. 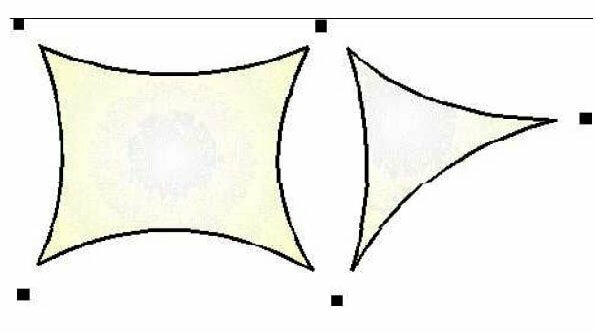 Once the Sail Shade has been tensioned / stretched to the prescribed length there will be little movement in the wind and the longevity of the sail will be prolonged. 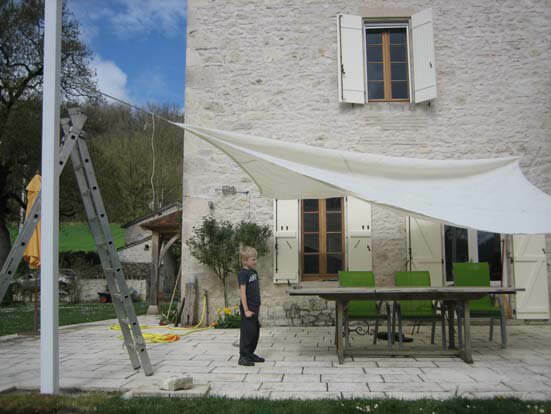 To erect the Sail Shades will take you between 1 and 2 hours (Not including any time required to erect fixing posts).